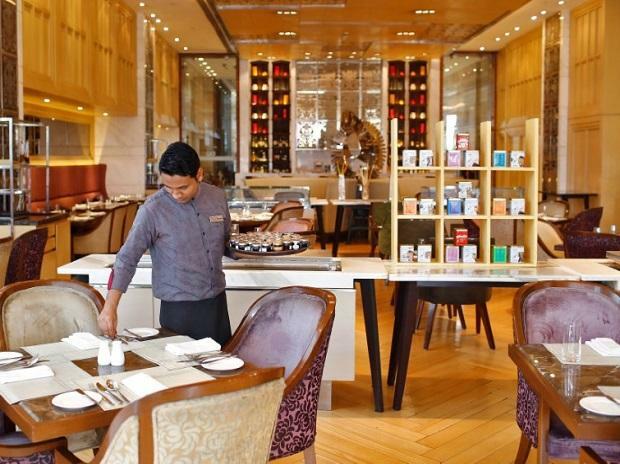 The services sector, which is the dominating area of India’s economy, gathered moderate pace in February due to new work orders, showed the Nikkei purchasing managers’ index (PMI). This resulted in job creation gaining momentum. PMI for services rose from 52.2 in January to 52.5 in February, showing acceleration in the growth rate. A print above 50 means expansion, while a score below that denotes contraction. Despite rising cost burden, the overall inflation rate softened. 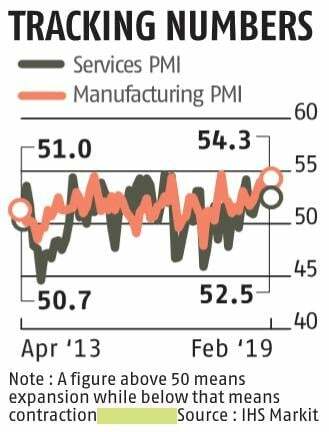 New business received by services companies rose to a great extent in February amid strengthening underlying demand, the PMI survey said, adding the upturn in new orders in the services sector was domestically driven since there was renewed contraction in external sales. Upbeat demand conditions in the domestic demand fed through to the labour market, with services sector jobs expanding at the same solid rate that was registered at the start of 2019. The earlier data had shown that PMI for manufacturing had grown to a 14-month high figure of 54.3 in February, up from 53.9 in January. As such, composite PMI output index rose from 53.6 in January to 53.8 in February, indicating acceleration in private sector activity in the country. “Indian economic growth strengthened halfway through the final quarter of 2017-18 to the second-fastest since last July. The acceleration was driven by a thriving manufacturing sector, where production growth hit a 14-month high,” Lima said. Lima further noted that manufacturing new export orders rose at a sharp rate against a backdrop of weakening global demand and trade friction. When looking at other emerging markets, the PMI data showed that the Indian goods-producing industry outperformed those in Brazil, Russia, and China by a sizeable margin. Meanwhile, price pressures waned as almost 97 per cent of panellists reported no change in their selling prices. The next meeting of the RBI’s monetary policy committee is scheduled on April 2-4. The country’s economic growth slipped to a five-quarter low of 6.6 per cent in October-December period of 2018-19, mainly due to poor performance of farm, mining, and manufacturing sectors, according to the official data.